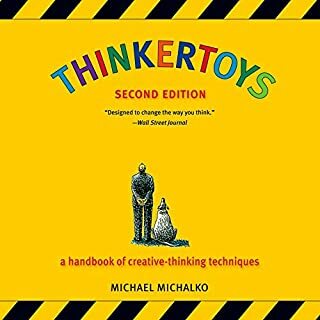 In this revised and expanded edition of his groundbreaking Thinkertoys, creativity expert Michael Michalko reveals life-changing tools that will help you think like a genius. From the linear to the intuitive, this comprehensive handbook details ingenious creative-thinking techniques for approaching problems in unconventional ways. Through fun and thought-provoking exercises, you'll learn how to create original ideas that will improve your personal life and your business life. 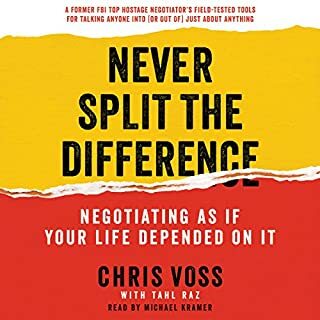 From the best-selling author of Drive and A Whole New Mind comes a surprising - and surprisingly useful - new book that explores the power of selling in our lives. According to the U.S. Bureau of Labor Statistics, one in nine Americans works in sales. 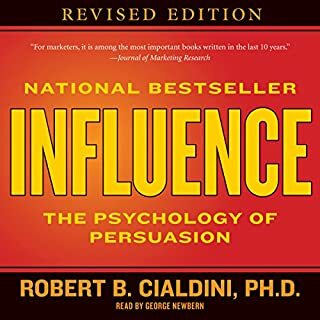 Every day more than 15 million people earn their keep by persuading someone else to make a purchase. But dig deeper and a startling truth emerges: Yes, one in nine Americans works in sales. But so do the other eight. To Sell Is Human offers a fresh look at the art and science of selling. 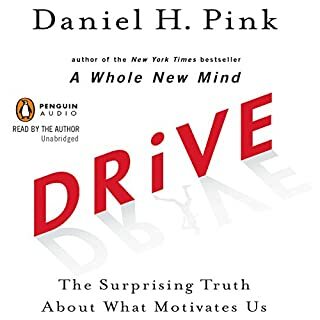 As he did in Drive and A Whole New Mind, Daniel H. Pink draws on a rich trove of social science for his counterintuitive insights. 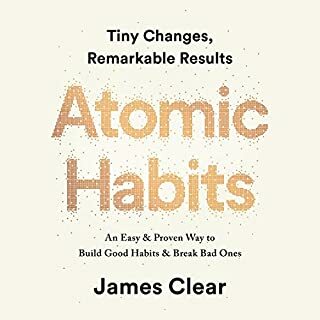 He reveals the new ABCs of moving others (it's no longer "Always Be Closing"), explains why extroverts don't make the best salespeople, and shows how giving people an "off-ramp" for their actions can matter more than actually changing their minds. 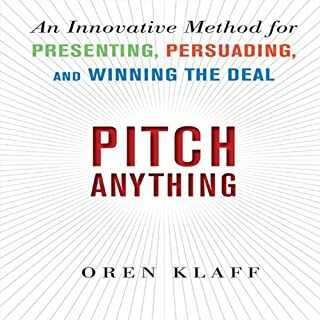 Along the way, Pink describes the six successors to the elevator pitch, the three rules for understanding another's perspective, the five frames that can make your message clearer and more persuasive, and much more. 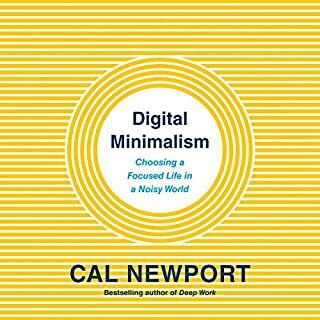 The result is a perceptive and practical book - one that will change how you see the world and transform what you do at work, at school, and at home. Another over Hyped book I guess.. I did not find this book exciting nor inspiring, as someone who is technical and trying to get more into Sales and better interactions with people, I find other books to be of much better value, the "How to win Friends and Influence people" from decades ago a much better introduction into this field, but maybe I picked the wrong book for the wrong reason. 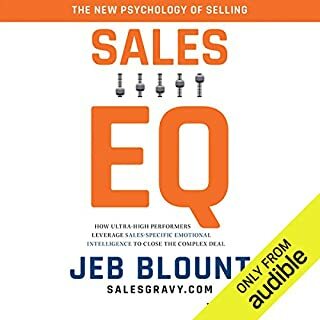 one of the best sales books i have read! I wrote down so many notes and ideas i can implement right away. Looking forward to bringing this back to my team. excellent narration. topics were very well organized and easy to follow. very practical exercises and highly recommended for any... human. Because of that I downloaded the audiobook "to sell is human"
Until finally I felt compelled to share my love of the book with you all in the form of a Pixar pitch. Ok, so the pitch could use some work. But you should read this book. Even if you don't think you're in sales or care about motivating others. He does a good job summarizing interesting social science research about optimism, disposition, extra/intro/ambiverts and much more. 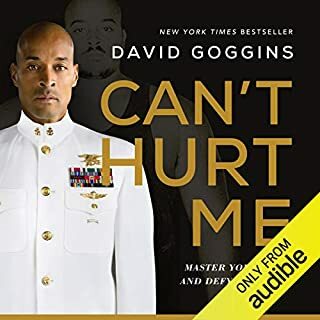 I admire authors who read their own audiobooks, but Pink's delivery was flat and it took me a while to get used to his narration. He's a dynamic speaker, but his presentation skills did not come across in this performance. The other downfall of the audiobook format is in the "sample case" exercises after each section. These are better suited to print or ebook format. Listening to an author spell out URLs isn't especially helpful. I found the content compelling and may end up buying a print copy so I can take advantage of some of the exercises. It made me feel empowered. It made me feel capable. It made me feel invigorated and excited to put it's principals to work. 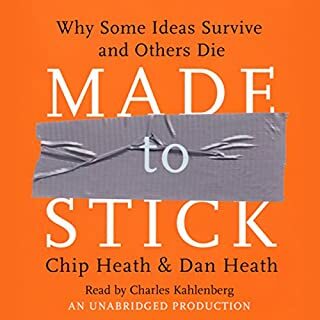 I listened at 1.5X speed and Daniel Pink's narration was flawless. I enjoyed it thoroughly and highly recommend it. This book is changing my mindset. With actionable ways of changing how I think and believe about selling, this book will be read and re-read. 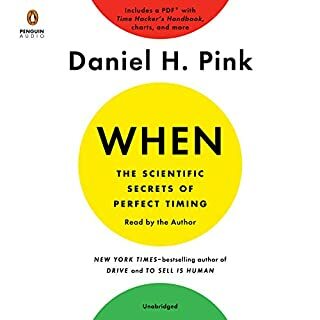 Thank you, Daniel H. Pink, for writing this book and sending it to the world. 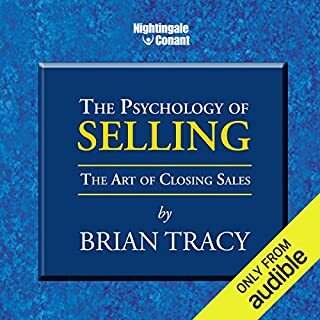 I have been taking a sales training course once a week for a year, and the principles in this book are very close to the same foundation for that training. Very helpful insights and material is easy to apply! I had very high expectations for Daniel Pink, maybe that's the problem. The first section of the book is all bout why we are all in sales. It could have been done in 2 minutes. Big waste of time. 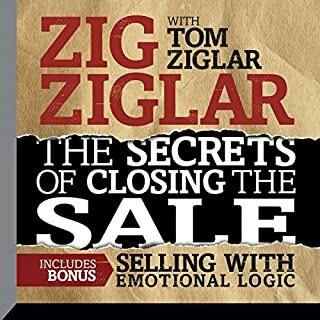 People who don't value sales and the need for persuation would not buy this book in the first place. You can skip those chapters. The second part is more interesting. The whole premise is centered in ABC selling: atunement, buoyancy and connection. Good concepts. Daniel could have said: listening, optiimsm/passion and connection. Much simpler. Some discussions are lenghty: you could listen to a whole chapter to get one nugget of knowledge of varying levels of usefulness. Still, it's a good book, but not at the top of my list. The narration is clear, although after a while it feels a bit too stron (like the author is yelling at you), but it's not a major concern. If you can find a 5 page summary of this book, you would probably get 90% of its value. I'm 2/3rds through this book and I'm already ready to give it five stars. 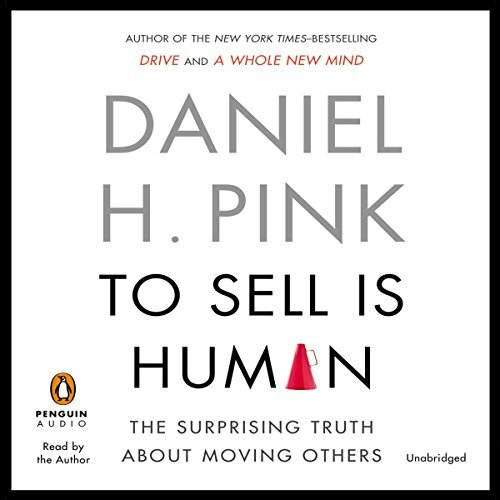 Daniel Pink has great insight into the social sciences, and he applies them superbly to selling in this audiobook. His stories are engaging and his style brings the characters he introduces to life. 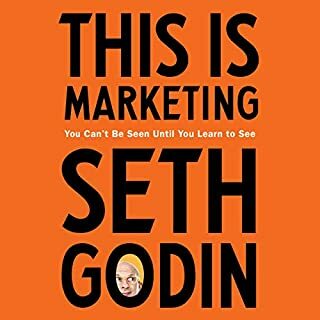 When he explained why you need to link selling to experiences instead of product features, I could feel the light bulb above my head. 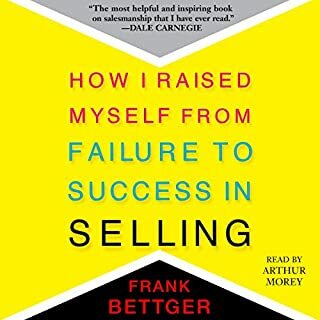 Overall, this book provided only a handful of fresh insights that aren't expounded in much greater detail in other popular sales books like those of Jeff Gitomer. The first part added little value and spent a great deal of time getting to a punchline that could have been reached in a paragraph or two. 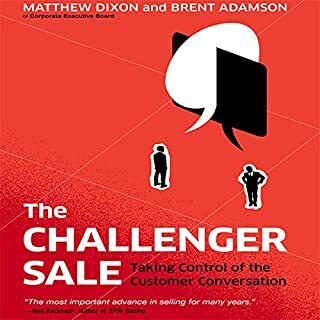 Part 2 was slightly more engaging, but only Part 3 actually achieved the practicality level needed for salesmen who require pointed, actionable, and insightful advice. 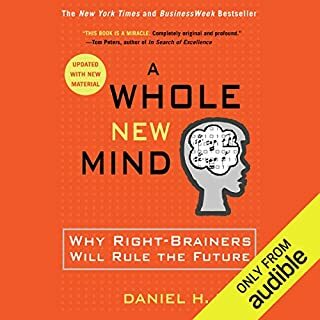 If you don't mind hearing several hours of studies and background prior to these insights then listen to the whole thing. Otherwise, skip to part 3 and listen to it 3 times instead so you can actually own the important concepts. Dan not only lays out the science, he clarifies through story. Finally, he drives the realities of human selling home through practical applications. 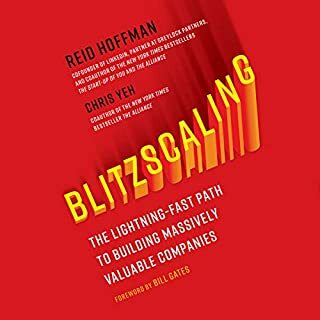 Everyone not involved in traditional selling should read this book. Old-school salesman beware, this is the true service to sales mentality. As the manager of the sales team, I am implementing the principles found in this book. We are seeing results following the notion that we should leave every client better off than when we found them. It's a simple strategy, but it pays off in spades. you are all salesman. But maybe not in the sense that you're thinking right now. Mr. pink goes through and shared much research from science and other books. I recommend this book to anyone and even to everyone that walks on the earth. selling is not a bad word.